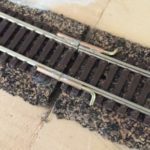 Hints, tips and products for model train and railway enthusiasts. 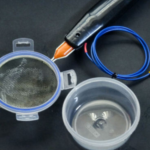 This tip is so obvious it’s frequently overlooked yet it’s possibly one of the most effective and certainly cheapest alternatives to off the shelf static grass applicators. First some background. 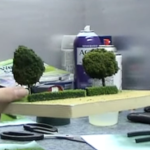 Static grass, or flock, is a material used to simulate grass and low-level vegetation. It’s made from short Nylon type threads and easily gives the most realistic finish. The key difference is that whereas scatter material is made of tiny granules, static grass consists of threads and so looks and acts like real grass. If you’re still using scatter materials for grass you NEED to try flock. You won’t go back. To get the best out of static grass, however, a static charge is needed. This makes the individual threads stand up and add considerable realism to your fields and grassland. There are of course commercial tools, such as the HEKI Flockstar, designed just for this purpose, but these can cost more than your locomotives! An alternative are the DIY applicators found across the web. These consist of an electrical insect killer connected to a metal mesh of some variety. The components for these can cost around £8 to £10 to buy while ready assembled units are available on eBay for around £14. A lot, lot, cheaper than commercial products like the Flockstar but there’s an even lower cost option. If you have young children, or you can remember back to your younger years, you’ve probably seen the endless fun that kids can have with Balloons. One of the most popular games is rubbing the balloon against clothes and then holding it above their heads and watching hair stand up. Exactly the same technique that is used to make static grass stand up. And sure enough, you can use balloons – costing just pence – as static grass applicators. Just get a few balloons, inflate them, rub them on Nylon or Polyester clothing and hold them over your model railway flock. The grass will stand up like a treat and you’ve saved yourself £10, maybe £100. An obvious yet often overlooked tool for your model railway. 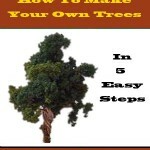 #4 How To Make Tree Stumps, For Free! 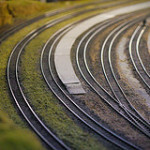 PS, If you liked this, join over 25,000 model railway fans and sign up now to get my unique guides and tips. It's completely free, you can unsubscribe at any time and I promise to never spam you. 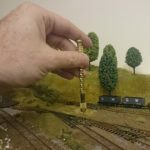 Cheers Nick, if you use long ‘sausage’ balloons you can also cover large areas of your layout quickly too. Thanks for the comment btw. What a great idea, but how do you keep the static grass standing? 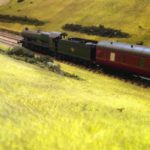 I’m Andy, creator of the multi-award winning ModelRailwayEngineer.com website and I invite you to come with me as I share the best tips, inspiring photos, advice and stories from my adventures in making miniature worlds. Read more about me, learn how to start your own model railway or read the best of Model Railway Engineer. The latest offers, deals and discounts on Hornby trains. The best model making tools at the best prices. 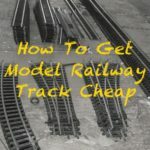 Looking for more top model train and railroad tips? Try my top articles. 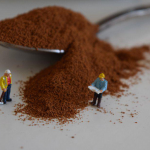 These tips work for all model railway scales, including N, OO, HO and O gauge. > How to lay track. > How to change already laid track. > How to build inlines. > How to make hils and mountains. To get my latest tips, subscribe to my free newsletter. (c) Model Railway Engineer, 2018. 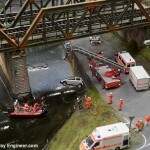 Hints, tips and products for model trains and railways.